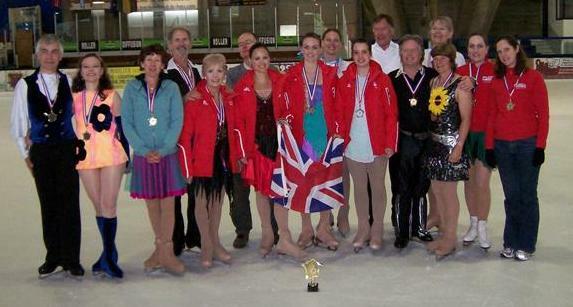 The GB adult ice skating team recently retained the Mountain Cup trophy, held in Villard de Lans near Grenoble, beating their French hosts into second place for the second year in succession. The ever improving Australian team completed the podium line up in 15 nation competition. Island couple Steve and Carol Taverner, skating in the competition for the eighth time, made a significant contribution to their team’s points total, winning first place in both their pairs events, with Carol adding a fourth place in her solo competition.